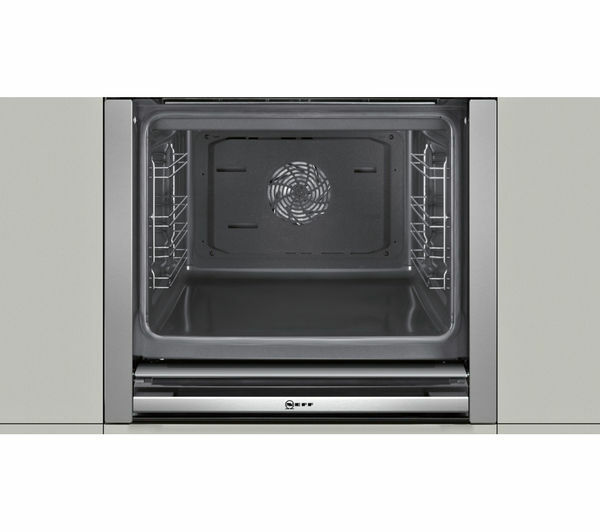 You'll have more flexibility with 66 litres of space at your disposal – plenty of space for batch baking pizzas and cakes, roasting large joints of meant or preparing different dishes at the same time. 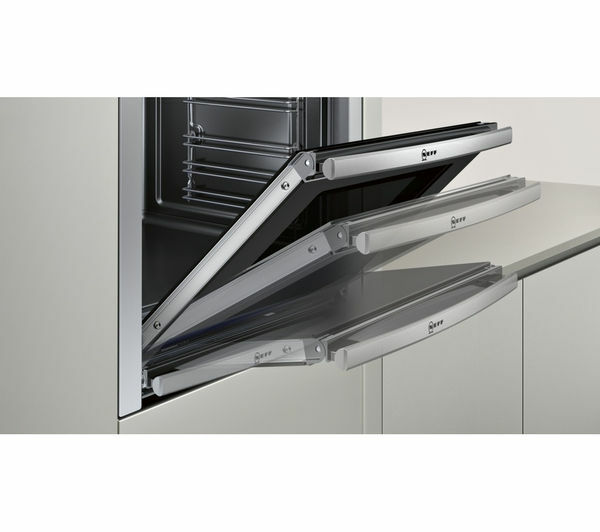 An innovative Slide&Hide door with SoftClose functionality neatly slides away to save space and let you safely get close to your hot meals. 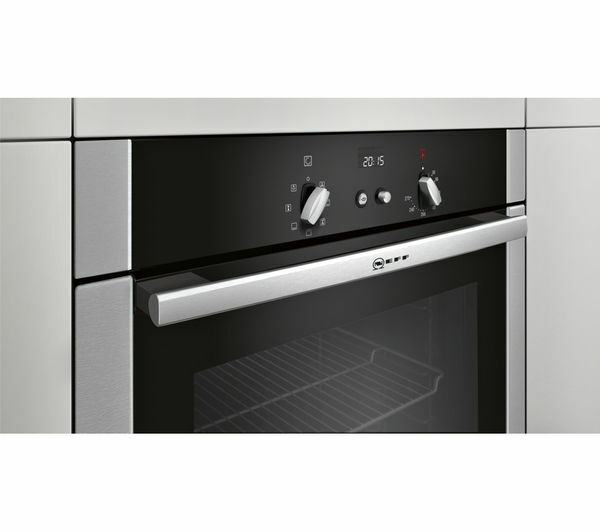 The smooth bevelled Revolution handle rotates as the door moves, remaining easily accessible and visible at all times. 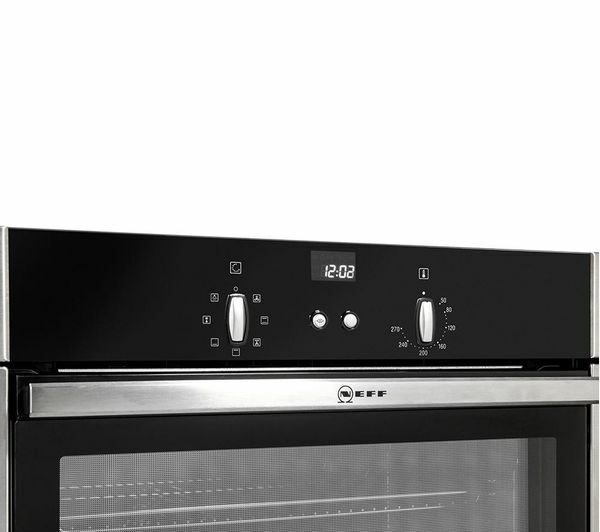 Operating your oven is simple with the minimalist black fascia design, featuring symmetrical dials and a central bright clock. 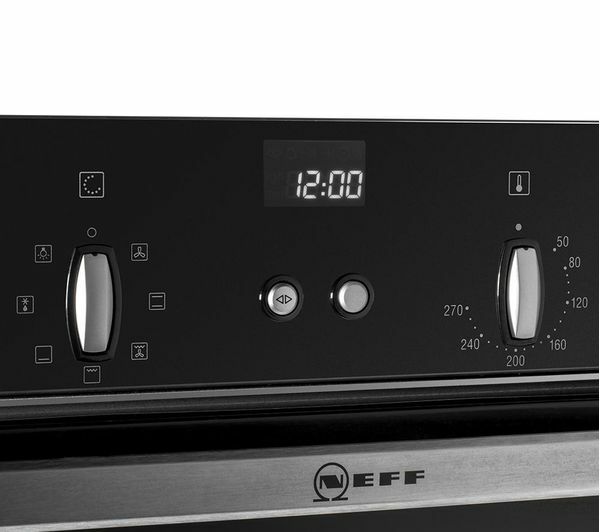 Selecting from the six cooking programs, time and temperature level is made simple. 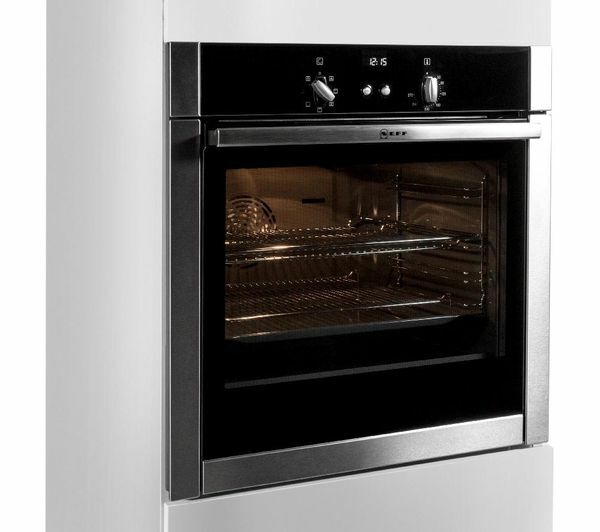 Cook more in one go without intermingling flavours with CircoTherm technology. 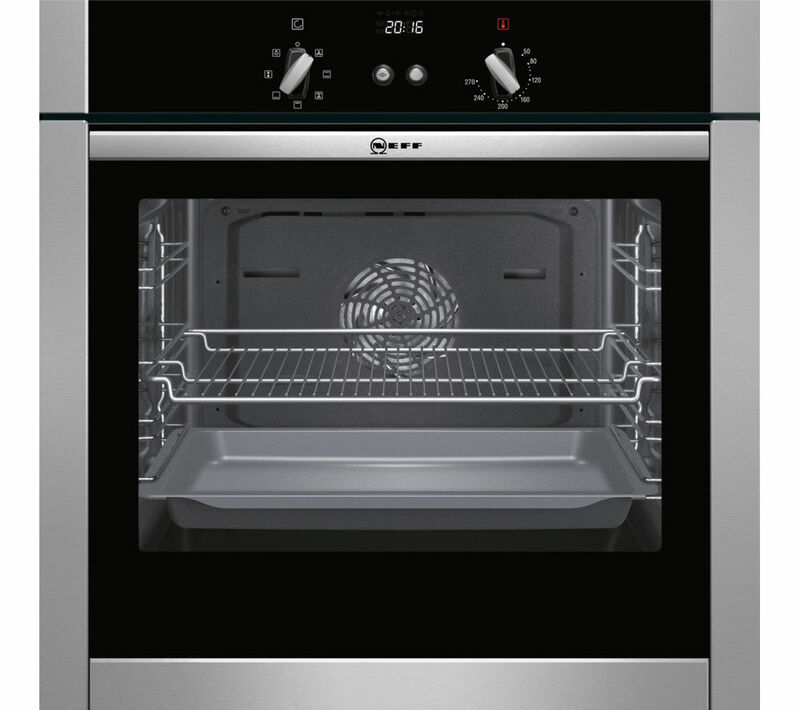 Powerful fans heat all four levels evenly, locking flavour and moisture into your food as it cooks more quickly. 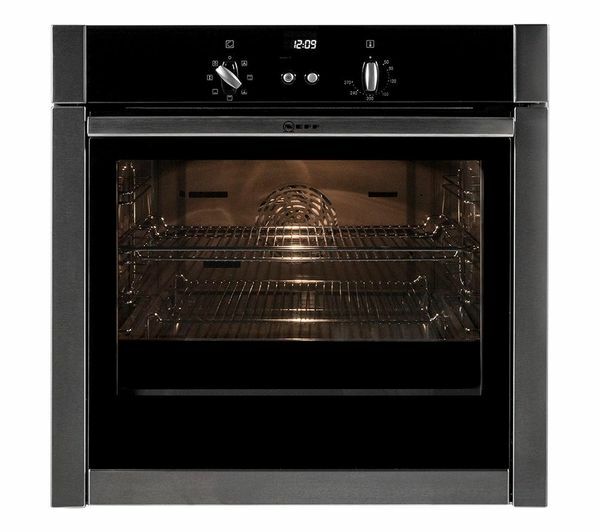 Bake delicate cakes and roast a meat joint all at once, saving time and energy. 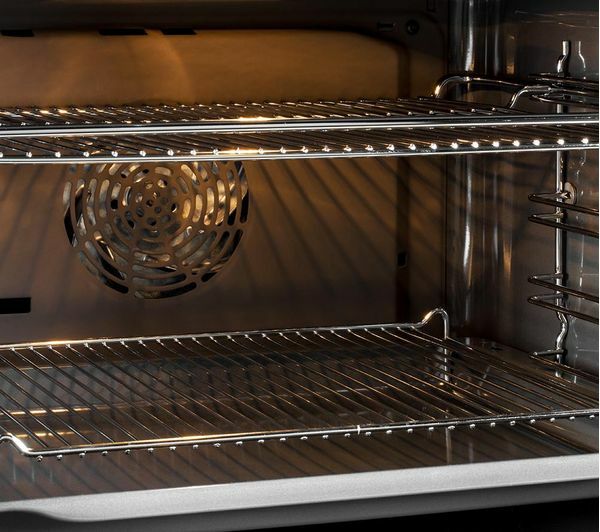 Keeping your oven beautifully clean is hassle free with CeramiClean liners – simply wipe any mess away with a damp cloth. Located on the interior roof and back panel, the microfine ceramic bead coating effectively absorbs fatty deposits, so there's no more burnt on mess that's hard to budge. 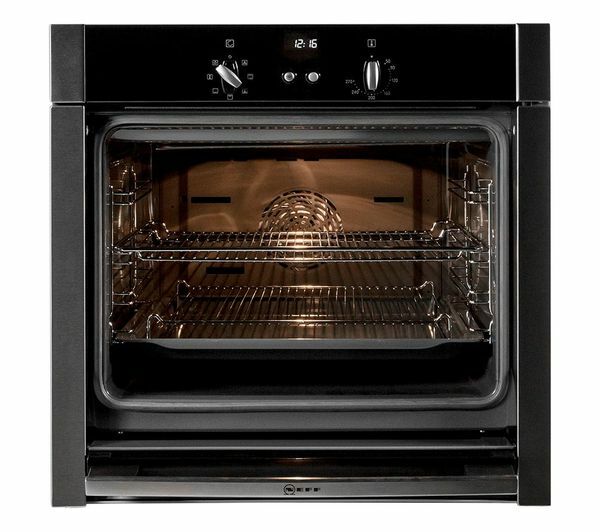 Save your time and effort maintaining the B44M42N5GB appliance since there's no need to purchase expensive oven cleaners anymore either. Stay kinder to the environment and save on your monthly utility bills thanks to the A energy rating.